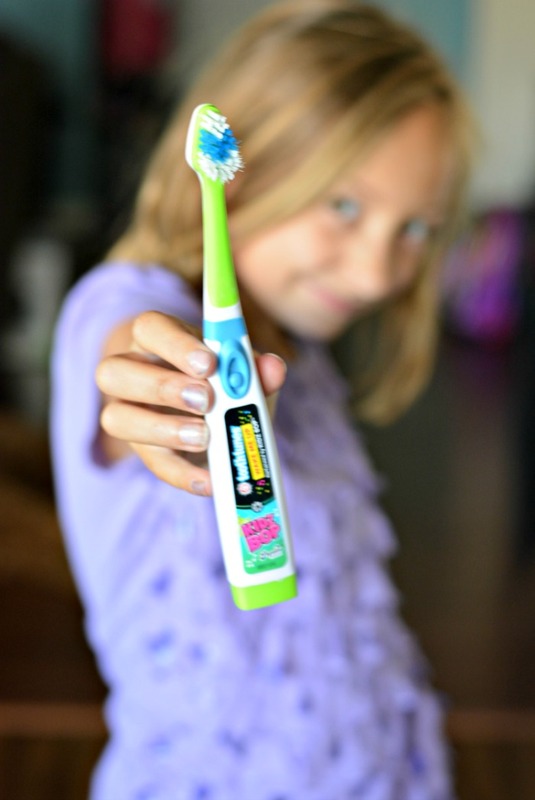 Step up your oral hygiene and get your kids begging you to let them brush their teeth with a fun and easy routine. 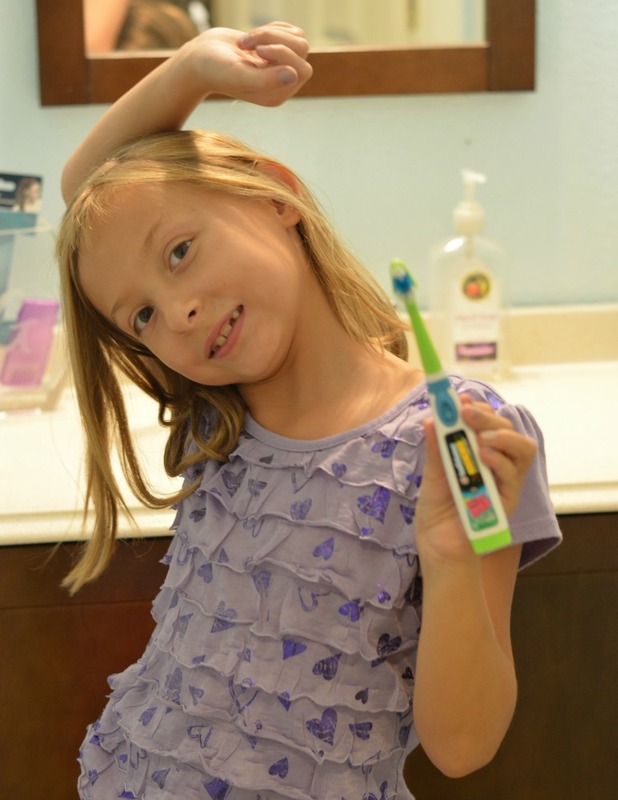 Arm & Hammer Tooth Tunes toothbrush for kids helped us by sponsoring this post and getting the kids excited about brushing their teeth. I turn 39 next month and I'm pretty proud of the fact that I don't have one cavity in my teeth. In fact, I've never had any dental work done to my teeth other than x-rays and cleanings. My dentist once told me I am the poster child for good dental hygiene. So you can imagine my dismay when we took the kids to the dentist last year and they each had three cavities! I had to admit, though, that I wasn't very good at overseeing my kids dental hygiene. 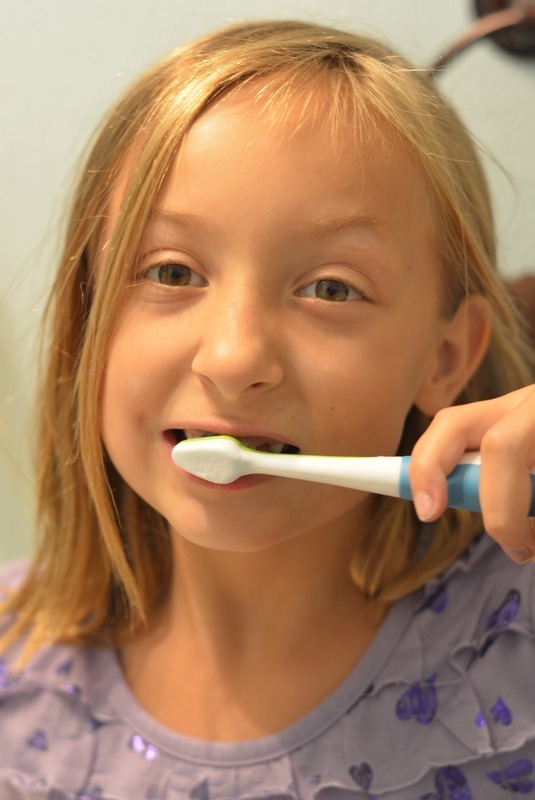 We've been struggling ever since to establish a routine for brushing their teeth. Our dentist recommends that the kids brush their teeth twice per day and floss once. We're pretty good at getting in one brushing per day, but working it in to our mornings hasn't worked. But with the new school just starting (YAY! ), it's the perfect time to clean up our toothbrush routine. 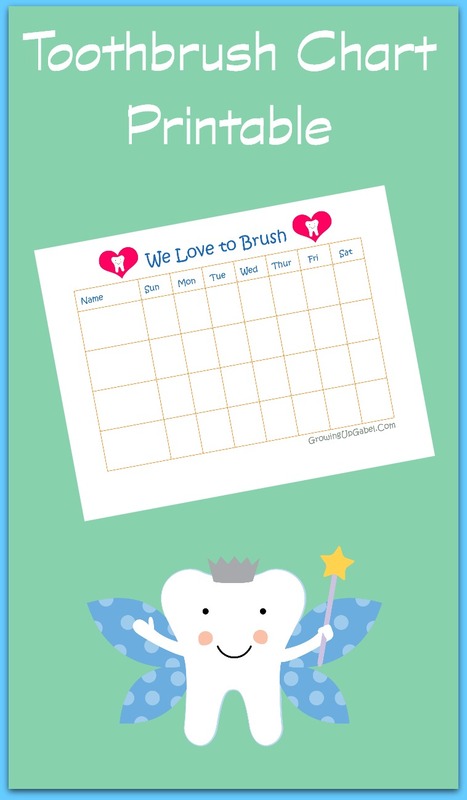 Our new routine involves two fun new incentives: a brushing chart and Arm & Hammer Tooth Tunes toothbrush for kids. 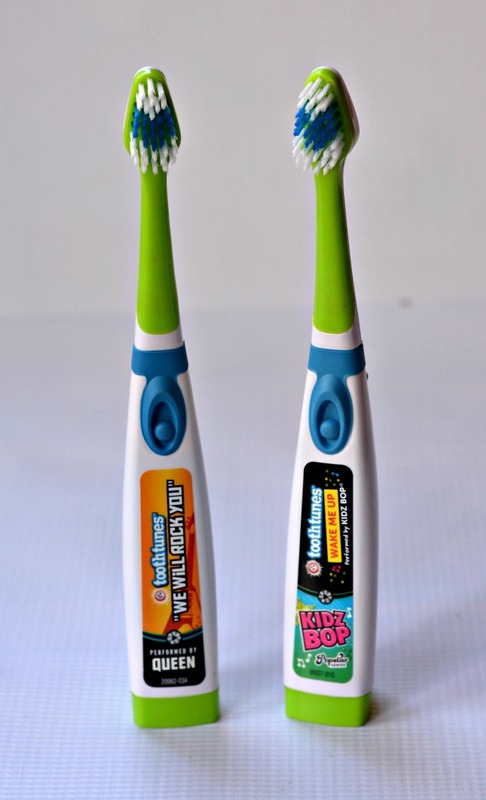 The first step was to give them a super fun, new toothbrush for kids. They love Arm & Hammer Tooth Tunes! I have to admit, I wish they were for adults because these toothbrushes are seriously fun. Arm & Hammer Tooth Tunes play songs while your kids brush their teeth. The kids brush their teeth for the entire duration of the song, which is 2 minutes. When I first got the toothbrushes out of the package and pushed the button to play the song, I thought they were kind of lame because you couldn't hear the song. Oh but wait! When you put the toothbrush in your mouth – instant speakers! Arm & Hammer Tooth Tunes come in a bunch of different songs so your kids can choose one they like. There are even Tooth Tunes Junior brushes for your beginner brushers! I can now find my kids dancing around the bathroom twice each day bopping to their toothbrush. Ella wanted me to make sure and show you how she dances with her Tooth Tunes! Now that the kids want to brush their teeth, I needed a way to make sure they did twice each day. 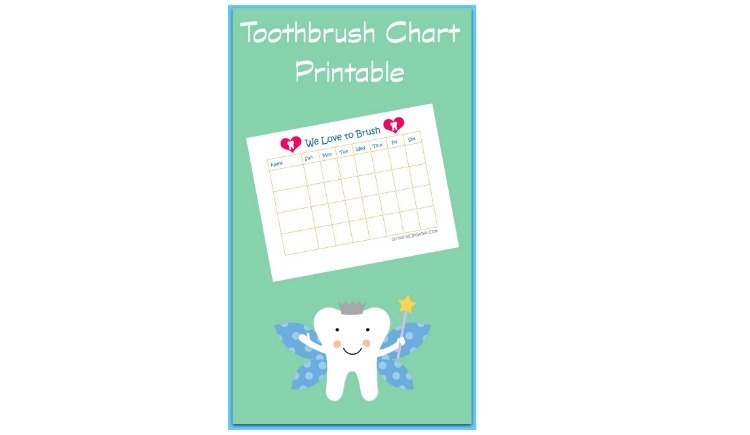 We love charts around here so we created a chart for brushing our teeth. I made one chart, which can hold up to 4 names, and the kids mark off when they brush their teeth. 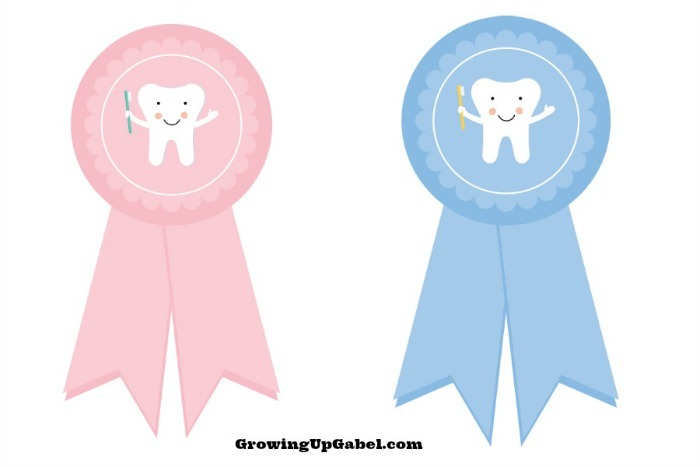 If they brush their teeth twice every day, they get to keep their toothbrush ribbon. If they don't, I take it away and they can earn it back for the next week. Thanks to Arm & Hammer Tooth Tunes and our charts and awards, our new routine is working. Hopefully we'll have no more cavities! Find out more about Tooth Tunes on their website! What tips do you have making sure your kids are cavity free? Share them in the comments! 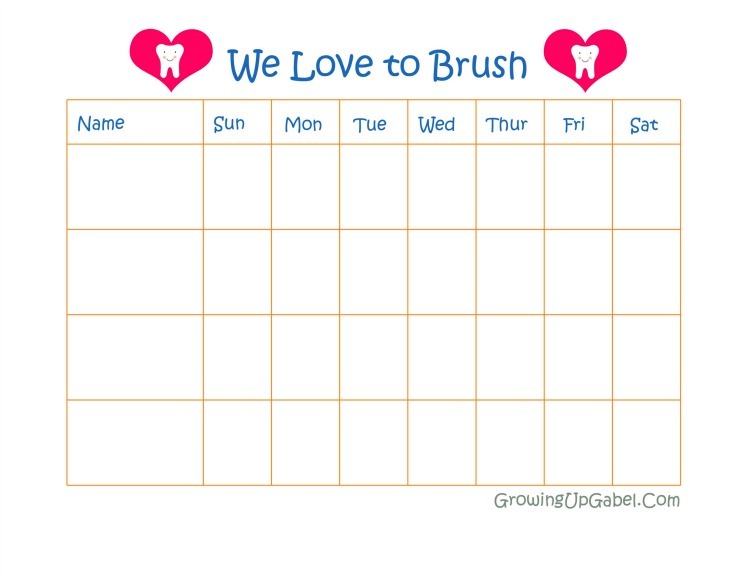 Don't forget to print off your toothbrush chart (1) and Tooth brushing Awards, too! This is a sponsored post written by me on behalf Tooth Tunes.